A talented customer of ours has kindly shared their photos showing the transformation of two Strawbridge Bedside Lockers. They have used both the Van Gogh Fossil Paint and decoupage techniques which will be covered in some of our workshops on using the paint. The workshops will be taking place in a dedicated section of our showroom every Tuesday until the 16th of December. There are still some places left for next week's class ( the 11th of November ) and bookings can be made over the phone on 0404-40502. 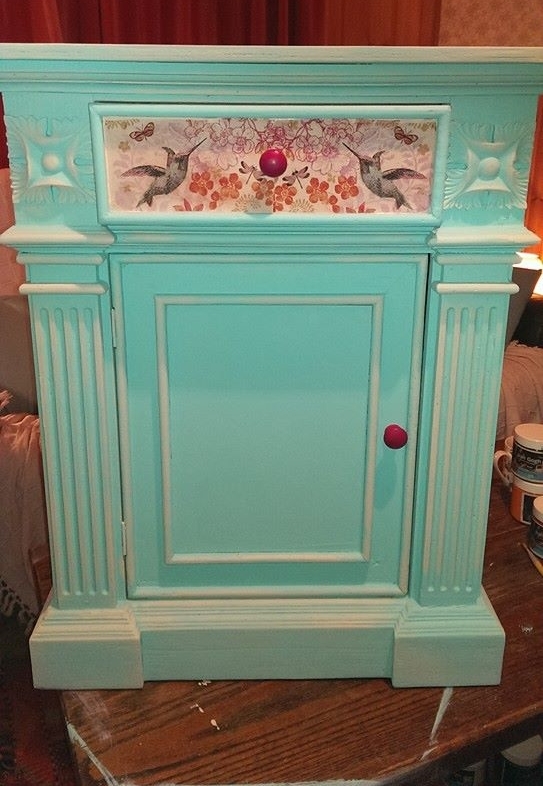 The image below left is of one of the Bedside Lockers before it has been painted and decoupaged. We love hearing from our customers and seeing the results of their work with the Fossil Paint. If you have a piece that you are proud of then why not photograph it and send the images to us at info@strawbridge.ie.